Fox & Hound Sports Tavern is a chain of restaurants that also includes Bailey’s Sports Grille restaurants. Fox & Hound offers lunch and dinner menus, a full bar with a wide selection of beers, and a variety of games including billiards, darts, and video games. The restaurants also have several large televisions going, so patrons can watch their favorite sports. Find a Fox & Hound application link at the bottom. 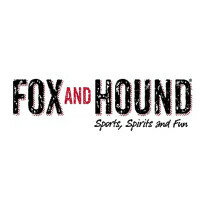 Founders Steve Hartnett and Mark Lee opened the first Fox & Hound in Arlington, Texas in August, 1994. They created an upscale bar and restaurant with entertainment in the style of an English pub. The first Bailey’s Sports Grille opened in Charlotte, North Carolina in November, 1989. The two chains have been joined since 1997. The two restaurant chains now have over 60 locations across more than 20 states, and employ more than 4800 people. The company, which is based in Wichita, Kansas, has been called Fox and Hound Restaurant Group Inc. since May, 2005. If you are interested in a career in the restaurant industry, see their website, below. Fox & Hound jobs are great for people who enjoy working in a relaxed yet upscale atmosphere with customers who are having a good time. To see employment opportunities in locations near you, and to get a printable application for Fox & Hound, go to their website, at the bottom. This company is always hiring people for a variety of Fox & Hound jobs. They have positions available for servers, kitchen staff, hosts, barkeepers, and more. To browse these jobs and get a job description for each, go to their website, at the bottom, and fill out a direct application. The restaurant chain has job opportunities in management. Each restaurant needs managers and assistant managers for the different departments, such as a bar manager, and a general manager as well. Managers can advance to be district managers. To view Fox & Hound jobs online and fill out applications, go to the website below. How old do you have to be to work at Fox & Hound? You must be 16 to work at this business in general, but for some positions you will need to be older because you would be serving alcohol. As state laws vary, you would need to be at least 18 or 21 to work there serving alcohol, depending on the location. Fox & Hound careers come with benefits in addition to competitive pay rates. Employees can expect vacation time, and a number of insurance packages. Typical hours of operation are Sunday through Saturday, 11:00 AM to 2:00 AM. See their website, at the bottom, to download application form and see if they are hiring at a location near you. Event Coordinator – This restaurant hosts a wide variety of events, including post-games parties, wedding receptions, office parties, and so on. As an Event Coordinator, you would make arrangements for a private room, a buffet, a cash bar, or whatever else customers would like for their events. Event Coordinators can expect commissions as well as hourly pay. Cook – As a Cook, you would be cooking a wide variety of upscale pub foods from their lunch and dinner menus, and you would prepare buffet food for events as well. Cooks can expect to start around $9.00/hr. If you are interested in working for this chain, you can get a printable application form at their website. Bar Manager – If you have experience, you could apply online to be a Bar Manager. Otherwise, you might get promoted to this position from being a Barkeeper. You would be managing a bar that offers an extensive menu of mixed drinks and a wide variety of beers. As a Bar Manager your salary would be around $35,000. General Manager – As the General Manager, you would direct the hourly employees and the managers of the different departments of the restaurant. You would answer to the District Manager. A college degree is not required, but you would need experience for this position. To apply online or upload your resume for management careers, see their website, at the bottom. The following are some questions you could be asked at your interview at your local pub. Are you physically able to meet the requirements of the position you want? Most of the available positions at this company would require long hours on your feet, and lifting of food supplies and food trays. You would need to move quickly and weave your way through a crowded floor when it’s busy. Are you a sports fan? This pub has a number of large TVs so patrons can watch their favorite sports while they dine or enjoy a drink. Being able to discuss the games with customers, if only a little, would be a plus at this company. Go to the website for an online application. How well do you know the different beers that are available? This company prides itself on its extensive beer offerings. Patrons who come in for the beer menu will want to ask about them. If you don’t know much about beer, you’ll want to learn. For a Fox & Hound application, see the website at the bottom. How well can you keep your cool under stress? This job will often be very fast paced. You will need to be able to remain friendly and upbeat while meeting your responsibilities. Let your interviewer know that you can handle the pressure. You can get a free application at the website. If you’d like to apply for jobs at Fox & Hound, go to their website below. You’ll want to dress nicely for an interview with this company. They are considered to be a relaxed but upscale establishment, so you’ll want to dress accordingly, in a business-like manner. Be prepared to mention your favorite sports team, as well as your job related skills. Since the position you are hiring for may have an age restriction, don’t forget to bring your ID with you, along with your references. If you would like to know how to apply for Fox & Hound online, go to their website, listed below, select either hourly or management opportunities, and fill out the application form. Reinhart Foodservice: See this page for jobs at Reinhart Foodservice. CiCi’s Pizza: Checkout the application page for work at CiCi’s Pizza. Gattis Pizza: See our resource page for more information on Gattis Pizza careers. Round Table Pizza: For career opportunities, fill out the Round Table Pizza online application. Sysco: For employment at Sysco visit the application page.